Our favorite restaurant fell by the wayside and closed. Mary and I saw a new sign on the building and pulled our car at the entrance to see if they were open for business. The new owner, a middle aged Asian gentleman, rushed outside to greet us. He said his grand opening was three weeks away. He then enthusiastically began promoting his new restaurant; explaining how it was going to be so much better than the previous restaurant. His passion was infectious. Mary and I left excited about giving his new venture a try. I thought, this guy is what America is all about. Obama-nomics has wreaked havoc on small business. Still, this man is willing to take the risk and go for it. Folks, I cannot begin to tell you how much it "frost me" that Obama uses class envy to portray small business owners such as this restaurateur as selfish, greedy, bad guys. The liberal mindset reasoning that "the boss" is always the bad guy baffles me. Approximately half of new small businesses fail within the first two years. With all of the silly and outrageous "nanny government" cost incurring regulations, the failure rate is rapidly increasing. So, when a small business owner survives the maze of control-freak, intrusive regulations, meets payroll and all of the other challenges that come with being "the boss," Obama believes it is evil for the business owner to take home a check much larger than his "workers." Well excuse me, Mr. President, but the boss took the risk, providing employment for employees who can simply punch out at five o'clock and forget about the business until the next day. The boss, perceived by liberals to be selfish, greedy, and "evil," is mentally, physically, or emotionally engaged with his business 24/7. A liberal posted on my facebook wall, "You conservative Christians forget that Jesus was a socialist." Apparently, this person is unfamiliar with Jesus' Parable of the Talents. Condensing the story, a master left town leaving three servants with talents (money): one with five talents, another with two talents, and the third he entrusted with one talent — each according to his ability. The servants with the five and two talents invested and doubled their master's money. Upon his return, the master was extremely pleased and greatly rewarded them. The third servant, probably an Obama voter, was fearful of taking a risk and buried the master's one talent. Upon his return, the master was furious with his servant, calling him wicked and lazy. Yep, sounds like an Obama voter to me. If Obama was the master, he would have scolded the two risk-taking servants, accusing them of being selfish and greedy. How dare his successful two servants double their talents and not redistribute them equally with the "wicked lazy" servant. Answering as he did to Joe the Plumber, Master Obama would say, "I think it is only fair that we spread the wealth around." Obama is a master of deception, speaking out of both sides of his mouth. While promising to implement policies that strengthen small business, Obama continues to create policies destructive to business. Is Obama "clueless" in regards to economics? No. Obama is a big-government socialist fulfilling his vow to "fundamentally transform" America. Small business has been the backbone of America, employing most Americans. Under Obama, this reality is changing. The private sector is shrinking while the number of people working for the government continues to grow as if on steroids. 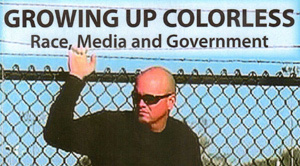 I would like to share excerpts from a book by small business owner Dwayne B. Stovall titled "Growing Up Colorless: Race, Media and Government." "...For many years now, I have awakened every morning without the use of an alarm. The fear of failure is all a person needs to lose the ability to sleep. Stress is like most chronic pain. Come Monday, you still have to get up and make sure you don't do something that destroys your business and hurts your family or hurts the people that work for you and their families. Like every other contractor in my industry, I give away 2 to 3 percent of every contract to an insurance company for bonding. Add to that the general liability, workers compensation, various commercial insurance policies, and all the taxes we are forced to pay and you can see how we start every year hundreds of thousands of dollars in the hole...."
So Mr Obama, enough with your despicable, nonsensical, self-serving rhetoric saying those who are fortunate (lucky) should be willing to give a little more to support those who are "less fortunate." You are shamelessly exploiting "class envy" to expand your voter base of deadbeats sitting around expecting handouts from your "stash." I know it is silly to wish my life away, but COME ON 2012! The American entrepreneurial spirit cannot survive much more of a president who inspires divisiveness and hatred for achievers.